Deal of the Week: If you've been following the blog for at least the last couple of weeks, then you might have heard about the deal of week. All you have to do is mention the name of my blog with your order at Sloyd's, and you get the discount of this week's featured puzzle. This week, you can get 15% off when you order the IQ9. For a limited time only, the discount will be available for a whole month (March 22nd), so you can combine it with the next few weeks' discounts. Note: The Sloyd puzzle shop will be closed until 4th of March, so all your orders will be processed after that date. 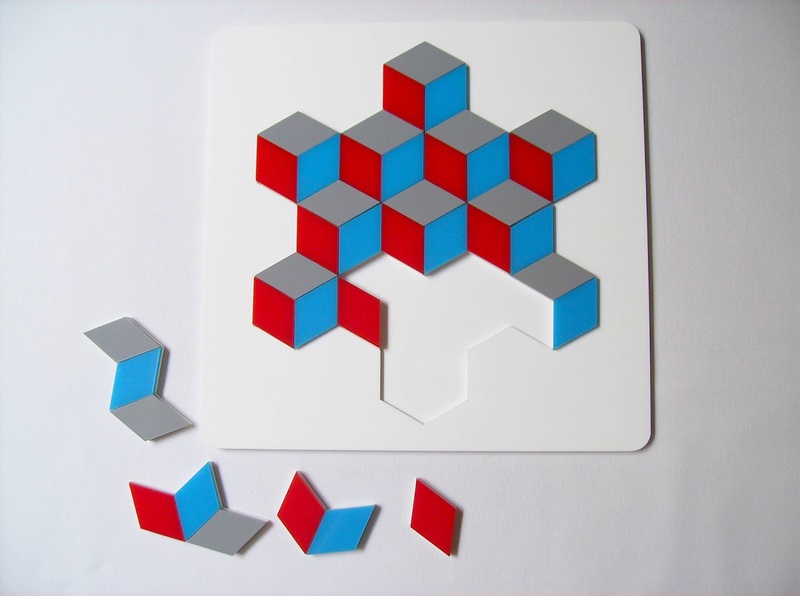 Jean Claude Constantin has a few interesting Packing Puzzles called IQ'plus the number of pieces used'. The one you see here today is the IQ9 (Sloyd has also the IQ17), and this might be the hardest packing puzzle yet. You up for a challenge? 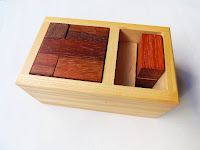 The design of the puzzle is nothing fancy, although I like the different wood tones of the pieces contrasting with the reddish hue of the box. 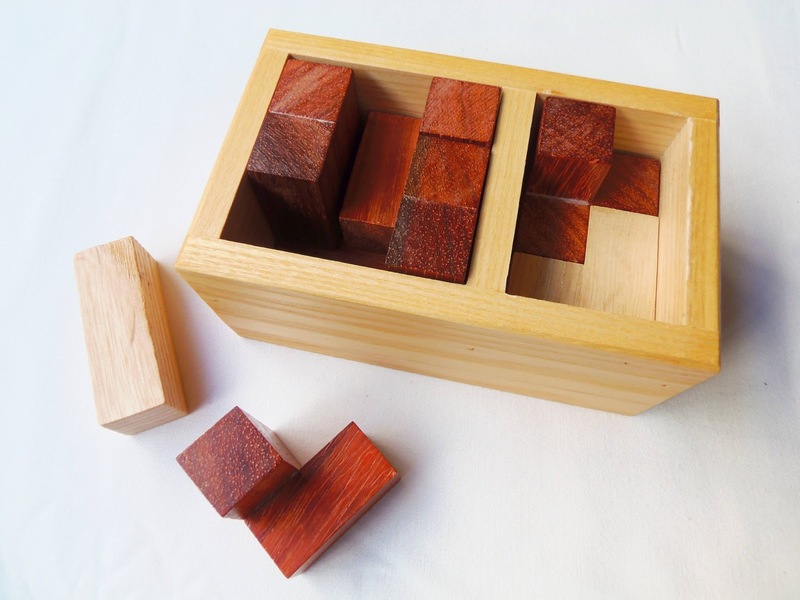 There's no lid on the box, but even if you don't have the puzzle solved, the pieces fit all in the box, albeit over the edge. 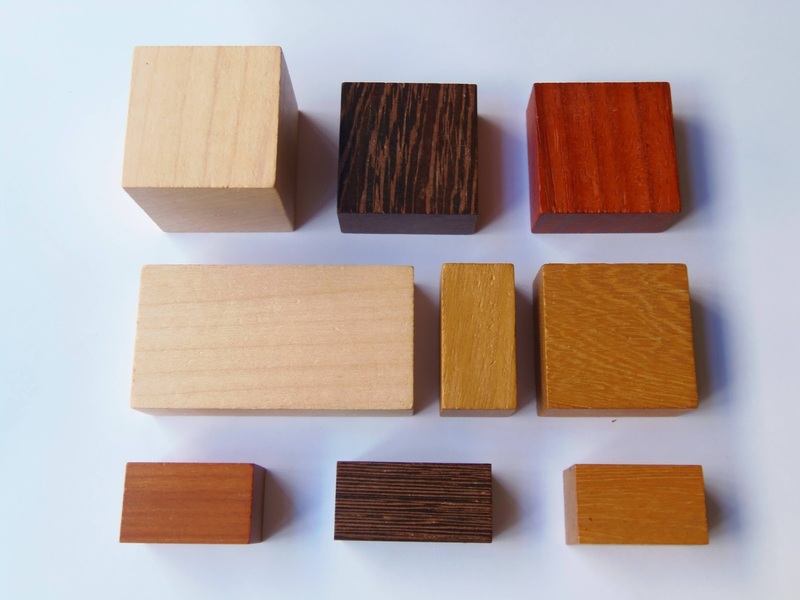 As the name suggests , the IQ9 consists of nine wooden pieces that have to be neatly packed inside the box. To give you a good idea of what's going on with this puzzle, let's look at the piece dimensions: The cube, for example, has a volume of 8 units, and the three identical squares have a 4 unit volume. Now, this would be like any ordinary packing puzzle if not for the box's odd dimensions. Looking at the piece dimensions, you'd expect a box with a unit area of 4x4, but that's not the case. The real area of the box is approximately 3.9x3.9 units. See the problem here? To solve the puzzle, you need to really think outside the box. 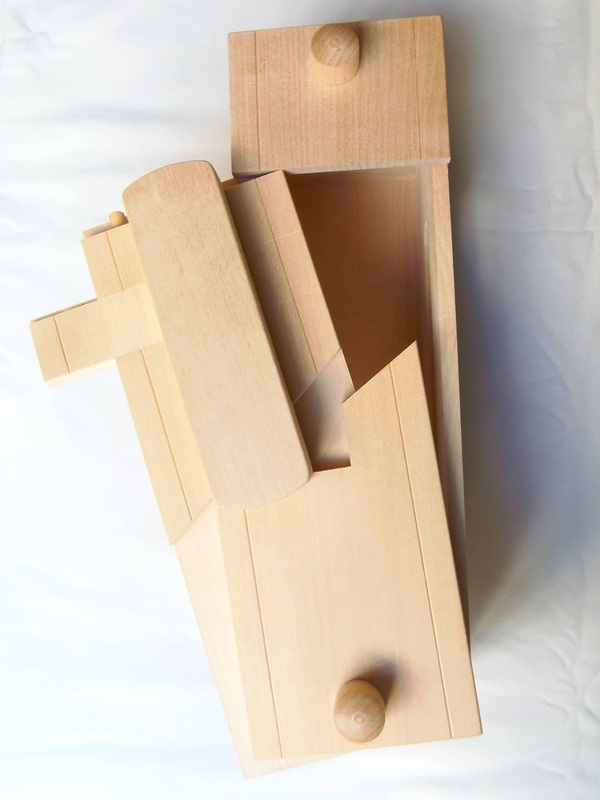 The goal is to get all nine pieces inside the box, without showing any parts over the edges. Anything over 1mm is already too much. Any mathematical wiz would probably calculate the solution in a couple of minutes, but since I'm no mathematician, I'm left with rudimentary techniques. Forget all the usual tactics of simply stacking the pieces in straight angles. I've tried that and failed. I believe the solution is counter-intuitive and involves packing the pieces in diagonals or any other crazy positions. Suffice it to say, I'm yet to solve the puzzle. I have it for almost a year now, and although I've been trying on and off, I must have spent over a dozen hours on this thing, and the result is always the same, failure. This has got to be one of the hardest puzzles I've tried so far since I've started my collection, back in 2008. 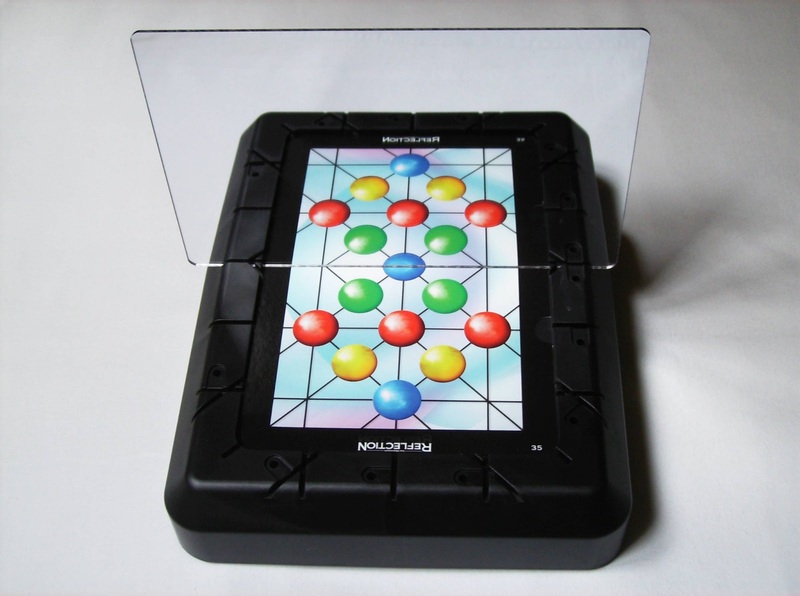 If you like crazy-difficult puzzles, almost impossible to solve by a sane person, then the IQ9 is the ultimate puzzle for you. I'd like to hear from folks who solved it, or from those who didn't solve it as well, so I don't feel so stupid. Availability: You can get a copy of IQ9 at Sloyd.fi for about €22. As usual, you can take advantage of a 15% discount just for mentioning the name of my blog when you place your order. For a limited time, the discount will be available for a whole month (March 22nd), so you combine it with the next few weeks discounts. Looks like I've reached yet another milestone with my blog, this time for the 300th post, almost three years after I started. It could've been reached a lot sooner, although it's hard to maintain a steady pacing of five reviews a week, like I did to get to post 200. I did manage to keep an average of two reviews a week, sometimes three, mostly thanks to Tomas Lindén from Sloyd (Oy Sloyd Ab) and Leon Stein from PuzzleMaster, who have been the two biggest sponsors of the blog. The following is a top 10, chosen by me, of the greatest puzzles reviewed from the last 100 posts. For more extensive reviews, pricing and availability, click on their names. Most of them are quite affordable, mainly as a personal choice. I always felt, when looking at expensive puzzles, that I could get a few more for the price of one. Not that I value quantity over quality. 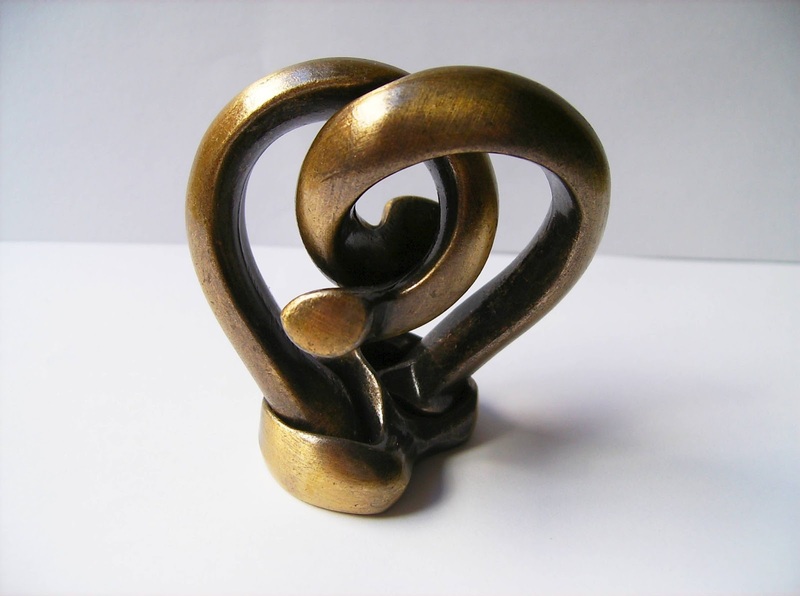 You can see in my collection many quality puzzles that you can find at reasonable prices. It's just that I value variety more, and my collection would be a fraction of what it is today if I'd stuck with expensive puzzles only. The downside is that I have less space now with all these puzzles (puzzle 1000 is fast approaching). Probably the most reviewed puzzle designer in my blog, Jean Claude Constantin is an example of the variety I was talking about. I have so many of his puzzles reviewed, I should make a separate top 10 just for his puzzles soon. 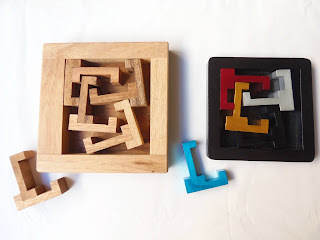 His designs use lots of different materials, the concepts are very original, and what's best is that his puzzles are, for the most part, quite affordable. The Schieblehre is one of such examples. The design is gorgeous and the concept was a novelty for me. The Interlace Diamond is part of a larger collection of puzzles designed by William Waite, all of which have these beautiful intricate patterns based on cultural backgrounds like Arabic and Celtic. The one listed here, in particular, is based on Arabic patterns and is comprised of 12 different pieces. It's a challenging puzzle at first. The hard part is to visualize the whole image when you have all the pieces scattered around, but as soon as you place a few pieces on the tray it becomes progressively easier. A few months ago I reviewed a series of new puzzles invented by Ivan Moscovich, and the one I liked most was Reflection. It's not a puzzle in the traditional sense, like the others on this top, because it's mainly a board game. However, the logic and skill needed to win is the same applied to other puzzles. The object is to be able to visualize the mirror effect needed to get the most spheres out of the chosen game card and score more points than your opponents. The concept is brilliant and one of the most original board games I've played. Even if you're not a big fan of board games you should try this one. Probably more known for his IPP award-winning 4 Steps Visible Lock in 2011, Robrecht Louage is responsable for my association of coin puzzles with his name. I'm not sure if he's the one who "coined" this concept, but if not, he's perfected it. 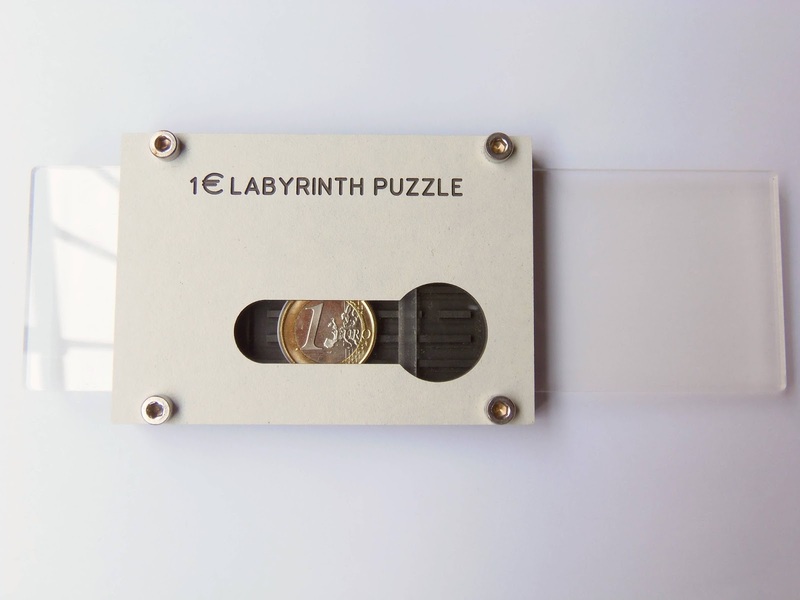 The 1€ Labyrinth Puzzle is a worthy successor and takes the concept of coin puzzles with a different approach. I see it as something in between the Visible Lock (visible maze) and the Remove the Yolk (hidden maze). Here, you only see part of the maze and have to work with that knowledge to uncover the rest of it. 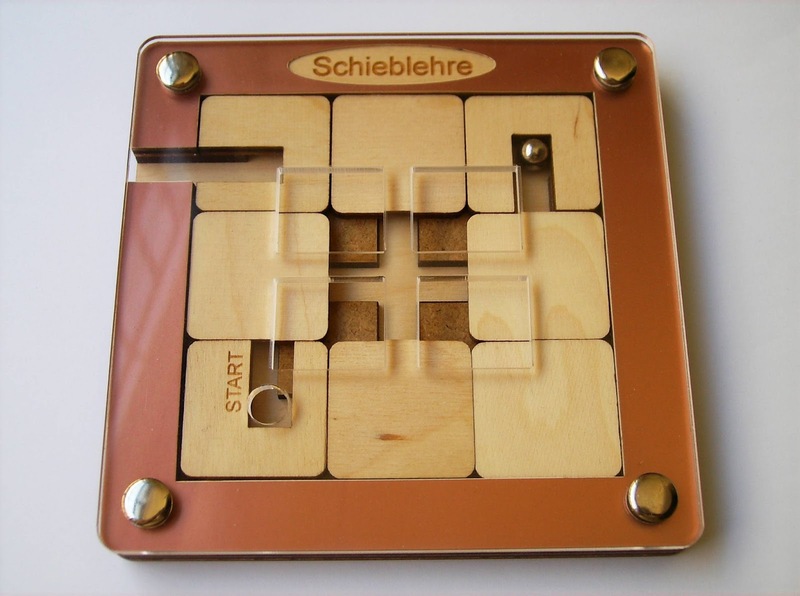 As usual, the solution is far from obvious, but if you know Robrecht's puzzles, you'll get there... Eventually. How many puzzles can you name that combine logic with booze? The Tipaton Vodkabox, manufactured in Finland by Tomas Lindén, is one of such rare examples. Essentially a Puzzle Box, the idea is to put a bottle of vodka inside and offer it to someone to have a drink. This could prove to be a very frustrating proposition, though, as the puzzle is rather tricky to open. 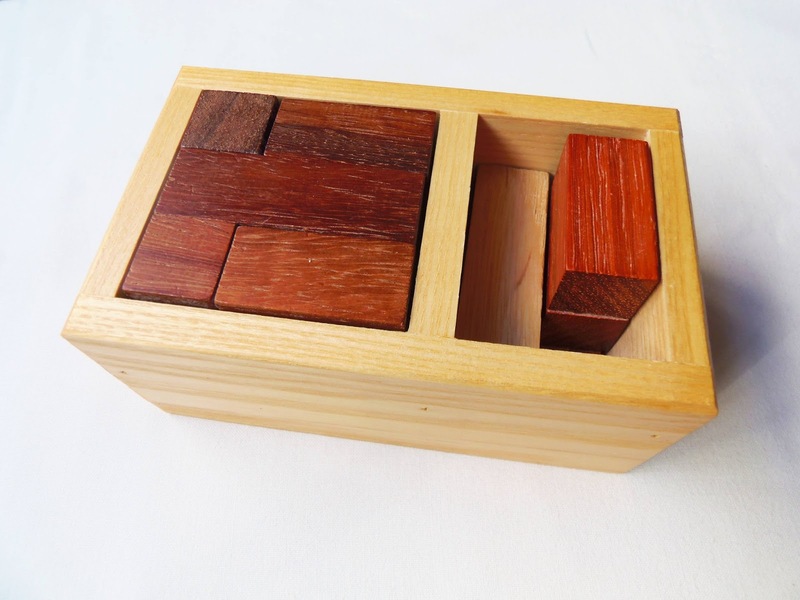 There are only 5 steps needed to open it, so it's far from the number of steps you see in the Japanese Puzzle Boxes. However, it can be harder than a few of those boxes with more steps, because they're not so linear. Over a month ago, I had the pleasure and privilege of playing with a new type of puzzles designed by Splinter Spierenburgh from The Netherlands. The first of these was the MazeRoll. 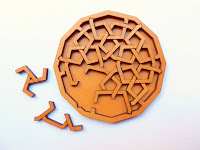 The design, reminiscent of Egyptian patterns, is comprised of four detachable disks that can be rearranged into a few hundred combinations, creating mazes of different difficulties. It's a puzzle you can always return to, due to its large number of possible mazes. The Cast Series is another type of puzzles that should have its own top, but since I can't include every one of them here, I'll highlight one of my favorites, the Cast Radix by Akio Yamamoto. This is more than a puzzle, and its proper place would be in a museum, not just for its glorious shape, but for what it represents. Puzzle design is art in itself, and that's why I fell in love with this hobby. 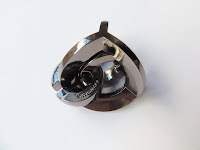 Hanayama is synonym of excellence and most of their puzzles deserve a place in every collection. If you can't have them all, the Cast Radix would be an obvious choice. To avoid repeating myself, I decided to join together the third and second place for the Moeraki 4 and Moeraki 3, respectively. These two puzzles by Casland Games had a troubled start, due to patents and licencing issues, but I'm glad that's all resolved now, because the Moeraki Puzzles are just stunning and some of my favorite puzzles. 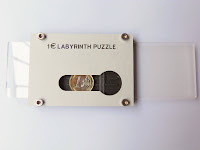 The design and packaging of the puzzles would make you think that these are extremely expensive for the quality presented, but in reality they cost about €15 each. The concept may not be the most original you have ever seen, but it definitely refined it. The movement of the beads is super smooth, which makes playing with them a pleasure. My only complaint is that they only have these two plastic versions, but have another three different virtual ones. Maybe with enough sales they will think about manufacturing the other versions. Here's hoping for a near future release. If you ever visited the Gamepuzzles' website by Kadon Enterprises, then you'd know how hard it is to leave without ordering something. The only reason why I don't have this top 10 full with their puzzles is because they can be a bit expensive. However, that didn't stop me from getting the updated version of Cubits (thanks to the goddess of puzzles, Kate Jones), first produced by the now defunct Binary Arts (known today as ThinkFun). This is a puzzler's dream. Dozens of challenges to solve with a cool 3D visual effect, and high-quality manufacturing, which is always present in every Kadon Puzzle. If you don't have one of these already, or any Kadon puzzle for that matter, do yourself and your collection a favor and acquire one of these marvels. You won't regret it. It's always a pleasure going back and chose 10 puzzles from past reviews. I have to thank all the designers and manufacturers that made these puzzles a reality, and who made me happier by playing with their creations. I also have to thank all the readers of the blog, whom without this page wouldn't be what it is today. If I ever helped you choose any puzzle in the past or guided you in the right direction to get them, then my job was fulfilled. Hope to see you all again when I reach the 400th post. It's not everyday that I have the pleasure of reviewing a puzzle from someone that I truly respect and has been an inspiration when it comes to collecting puzzles. I remember back in 2008, when I first started to "gather" all these magnificent objects, looking at her collection in awe. I'm, of course, talking about miss puzzles, Roxanne Wong. 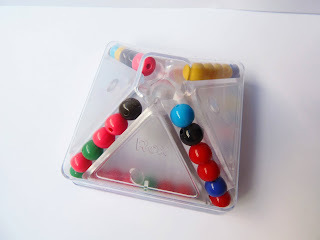 Her first venture into the world of puzzle design debuted last year with the Pionir Pyramid, which was her exchange puzzle at the IPP 32 in Washington D.C. With the help of Mr. Fok, the manufacturing was entrusted to MF8, which implemented the convenient blocking mechanism that prevents the puzzle from being accidentally scrambled. Rox was inspired by a classic puzzle, the Pionir Cube, which also had beads around its edges. If you know the Varikon puzzles, it's the same concept except it has cubes instead of beads. You can look at the Pionir Pyramid as a natural evolution from its cube predecessor, just like the Meffert's Pyraminx is to the Rubik's Cube (except the Pyraminx was invented first). The Pionir Pyramid is, in theory, easier to solve than the cube version. There are a total of 52 beads, whereas on the cube you have 67 beads. I haven't actually tried the Pionir Cube, so can't really test which one is faster to solve. The Pyramid did take a while to be fully solved, and I didn't solve it in one sitting. That's where the blocking mechanism comes in handy to keep the beads in place, so you don't have to start from scratch every time you pick it up. 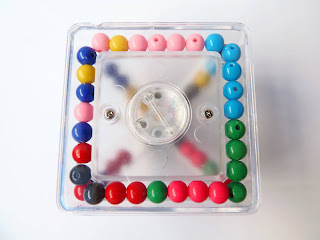 The object is fairly simple, although it takes some patience and concentration to solve it, mostly because the steps are repetitive and have to be done in a sequence: There's a "missing bead" to allow a space for the beads to move around, and the goal is to get each of the eight edges with the same color. The movement of the beads is relatively smooth. It might need the occasional tap on the surface to make the beads slide across the edges, but other than that it has a good quality build. The diagonal edges carry six beads each and the horizontal edges seven. If you feel adventurous, you can try a harder challenge, which is to have alternated color patterns on each edge. It can be in groups of 2, 3 or 4, depending on which edge you're going for (vertical or horizontal). Keep in mind which colors belong to which edges (red, light pink, dark blue and green for vertical, and black, light blue, dark pink and yellow for horizontal). There are many different patterns you can go for when you have mastered the puzzle. I didn't attend last year's IPP, but I'm glad I could get my hands on this nice little puzzle. Rox's efforts to design the Pionir Pyramid have paid off, at least with know how for her next projects, which I look very much forward to see. If you like sequential puzzles, I highly recommend this one. It's not hard to solve, but it gives a satisfying and rewarding feeling when you do it. Availability: I got my Pionir Pyramid from PuzzleMaster. Packing puzzles have come a long way since the Soma Cube was first introduced by Piet Hein, back in 1933. We've seen countless variations over the years, some more creative than others, but the main concept remains the same: Pack the given pieces into a perfect cube, usually with a 3x3x3 unit size. Today, I want to show you the Switch Box. An interesting variation of the Soma Cube idea, as it uses all its seven pieces and adds a couple more, incorporating a new rule into the mix: All you need to do is to grab seven pieces from the box and leave out one light and one dark piece. Then, try to build a cube from the remaining pieces. When you solve the puzzle, disassemble it and remove one light and dark piece. Now, build another cube from the different piece setting. There are dozens of possibilities, so you're always solving a slightly different puzzle. 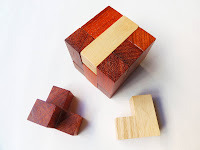 The design of the puzzle is both visually pleasant and functional, with a storage space for the extra pieces as well as a space to store the solved cube. Its dimensions are not very big, with a length of 13.5cm, a width of 8cm and a height of 6cm (5.3" x 3.2" x 2.4"). The original Soma Cube has 240 different solutions. With the addition of a couple more pieces, I'm guessing the total number of possible solutions is a bit higher, although not exponential. I believe that's maybe due to the inclusion of only two light pieces against seven dark pieces, leaving less possibilities, as you have to always remove one light and one dark piece. There may be another reason, because if the number were more balanced, it might give more impossible assemblies. I actually don't know if there are any impossible assemblies, because I was always able to find a solution for every piece layout chosen. Then again, maybe that's the reason why there's only two light pieces, to avoid impossible assemblies. This would require a more detailed study of the puzzle with Burr Tools, though, but I'm not very good with it. The difficulty of the Switch Box is a bit hard to classify. Some of the puzzles you'll be creating by removing different pieces will definitely be harder than others, and some will be easier. That's also what's great about this puzzle, you'll never know how hard it is until you've tried it. With so many similar versions out there, it's surely refreshing to see something that was clearly inspired by the Soma Cube, but still could create its own identity, by adding a new set of rules and a couple of different pieces. I highly recommend this one. If you don't own a Soma Cube it's great, because the Switch Box uses all of its seven pieces. If you already own a Soma Cube, then I'm sure you're gonna love the Switch Box even more. Availability: You can find the Switch Box at Sloyd.fi for €20.16. Rad'l or Fahrrad Holz (German for wooden bicycle) is a great example of Jean Claude Constantin's highly creative designs. He doesn't settle for abstract or odd shapes. He takes the simple concept of "remove the string" and adapts it to familiar objects of everyday life. The Rad'l is a fairly large laser-cut wooden puzzle with 17cm in length (that's about 6.7"). There's a string entangled from wheel to wheel with two beads on each end. 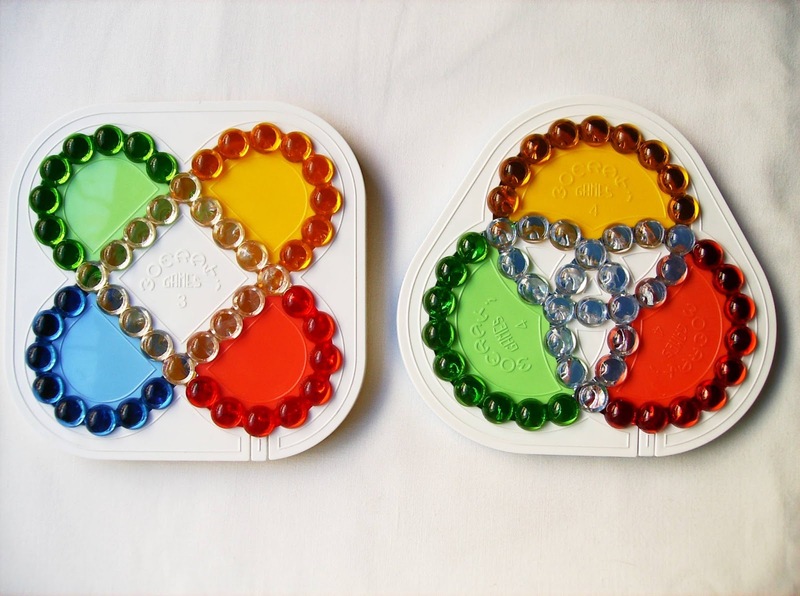 The beads are large enough to make it impossible to just pass them through the wheels. Blocking the exits are two metal rings, but the beads can't pass through them either. The goal is to completely remove the string from the bicycle. One of the things I dread about string puzzles is the length of the rope, which many times result in a tangly knot fest. The Rad'l has the potential to get messy, as its rope is long enough to sport a few knots itself. So far, I've been fortunate enough to avoid any complicated knots, but I'm not out of the woods yet... See, I'm yet to solve it, which has been bugging me for the last week. PuzzleMaster rates the Rad'l as a level 7/10. While this is considered to be challenging, it's far from being mind boggling. Maybe I'm missing something, but this has been a real pain to solve. I've solved many string puzzles before, some of them higher rated than this, and yet I can't seem to find the solution for it. 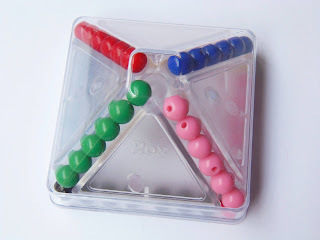 I have been given a few tips for string puzzles before, but so far I've been unable to put them into practice. One of them is to imagine the puzzle already solved and trying to return it to its original state. Another one is to look for obvious things on the puzzle that should be part of the solution, like the metal rings, for example. They're blocking an exit, but I believe that's not their only role. I have to continue my struggle until I finally solve it. Being unable to solve the Rad'l doesn't mean I didn't like it. Quite the opposite, I think it's one of the most original designs by Constantin. If not just for collecting purposes, give it a try. You might be luckier than I was. Availability: As of now, the Rad'l is out of stock at PuzzleMaster. Keep checking regularly, as they should restock it soon. 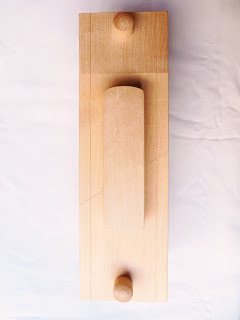 Sloyd's puzzles, manufactured by Tomas Lindén, are well known for their characteristic birch wood and high-quality manufacturing, which without it the Tipaton Vodkabox would be impossible to make, due to its high precision mechanism. The origin of the Vodkabox goes back to the times of WW2, as Finnish soldiers had a lot of spare time waiting for the Russians and did all kinds of woodwork. Looking at it today, I'm glad the Russians didn't rush into Finland, otherwise we would've never seen these brilliant works of art. 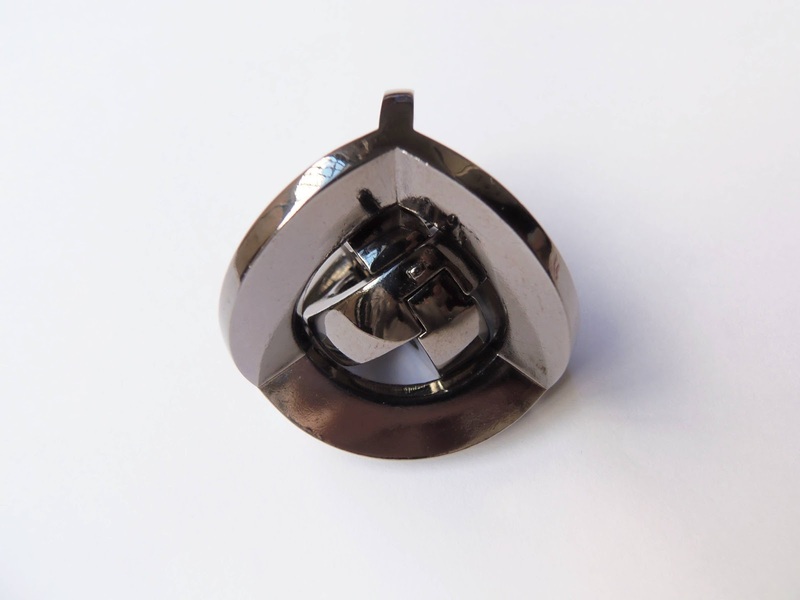 The lock mechanism is comprised by a double gravity pin, and you need 5 different moves to open it. It's up to you to decipher what the "double gravity" means, or I would be telling the secret to its solution. This is a fairly large puzzle, which is expected, in order to accommodate a Vodka bottle. It's outer measurements are 27 x 8.2 x 8.8cm (10.6" x 3.2" x 3.5"), and you can store a bottle with the maximum size of 25 x 7cm. Be sure of this measurements if you plan to offer the puzzle to someone, because not all bottles will fit. You have to solve it before you're able to put the bottle inside, though. Also, the Vodka bottle is not included. The Tipaton Vodkabox has the same principle of the more traditional Trick Boxes or Puzzle Boxes, where you have a set of different moves, sometimes only one, that you need to discover if you want to open them. Usually (almost always), these required moves are counter-intuitive and you really need to think outside the box (pun intended). The photos, unfortunately, don't feature an actual Vodka bottle, mostly because I didn't find a small enough bottle to fit inside the box. I ended up buying one, but it was slightly over-sized, and that was the smaller I could find here. No worries, though, as you don't need a Vodka bottle to fully enjoy the puzzle, or you could end up seeing double boxes. The Tipaton Vodkabox is a superb puzzle box. Its clever mechanism will surely intrigue you for a while, but nothing that will make you throw it out the window. If I had to rate its difficulty, I'd say it's a 4/5. There are much harder ones out there (Double Squared, for example). I highly recommend it, and also makes a perfect gift. Availability: You can get the Tipaton Vodkabox at Sloyd.fi for €45. 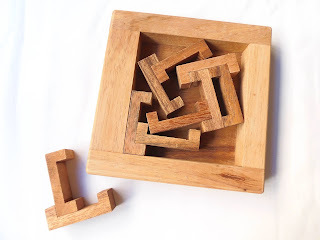 There's also a similar puzzle, the Winebox, but that's currently out of stock at the moment. Usually, when I get a certain puzzle, I'm not that interested in similar versions. The main reason is that the challenge is exactly the same and you get nothing new from it, but also the lack of space to store them is getting smaller too fast. The only time I went "off-course" was when I got a large amount of Bedlam Cubes, which is the main culprit for my lack of space. 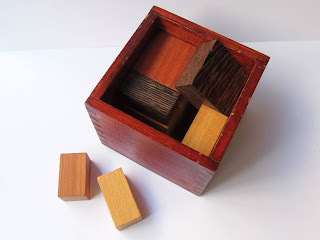 This whole rambling is just to introduce the C-Box that I recently got with my latest package from Brilliant Puzzles. The C-Box is nothing more than an alternate version of Jean Claude Constantin's Hercules. Well, actually it's a bit "more", because the Hercules that I reviewed a while ago was manufactured by Bits and Pieces, and we all know that the quality of their puzzles leaves a lot to be desired. For this reason, I didn't think twice to include the C-Box to my order when I saw it at the Brilliant Puzzles website. If you don't know Constantin's Hercules, the C-Box has the same 5-piece set. Each piece is basically two C's joined together at a right angle. 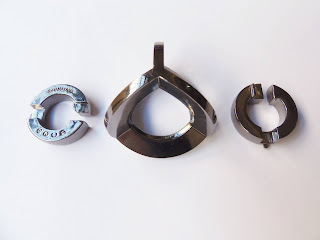 The goal is to be able to pack all pieces into the tray in such a way that it's impossible to slide or move them around the frame, although with the C-Box you still have a little wiggle room left, as its tolerances are less tighter than its aluminum cousin. There are a few differences between these two versions: the C-Box is made from wood and the Hercules is made from aluminum; the C-Box is also fairly larger at 14.5cm, while the aluminum-based version is only 12cm; as mentioned above, the tolerances are a bit different as well. The Hercules' are tighter, while the C-Box has more room for the pieces to move. Not sure if this was done on purpose to make it easier or just bad design, though. The C-Box is not that complicated to solve. It's a level 3/5 and, even though it looks hard when you see the pieces outside for the first time, the pieces interact in a more or less intuitive way. When I solved the Hercules, I found that there were two solutions, one more elegant than the other. You can see the elegant solution below. Solution: Unless you have completely given up, don't look at the solution. 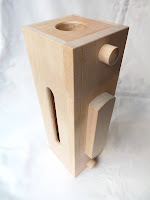 Even though the C-Box is a low-end wooden puzzle, it's still a much better quality than the Bits and Pieces' version. If you currently don't own any version, I'd recommend the wooden one. Even if you have the aluminum version, I still recommend the C-Box. For the low price, it's definitely worth it. Availability: You can find the C-Box at Brilliant Puzzles for $14 USD. Can't believe it's over a year since I reviewed my last Twisty Puzzle. I guess I neglected this category a bit, and considering it all started with the one and only, the Rubik's Cube, it definitely deserves a little more attention. 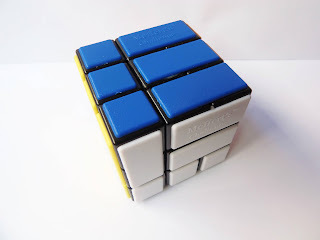 Well, what better way to resume the Twisty reviews than a puzzle based on the Rubik's Cube itself, Meffert's 3x3x3 Bandage Cube. The puzzle dates back from 1999, and while it's produced by Meffert's, I don't have any information about its inventor. The mechanism is basically the same as the classic 3x3x3, but has a major difference in the outer design. Many of its pieces are bandaged or fused together in pairs. The result is a step up in difficulty, as most of your current knowledge on how to solve a normal 3x3x3 isn't applicable to this cube. The bandaged pieces have different orientations and block many movements, reducing significantly the number of possible moves. Also, a trademark of Meffert's, instead of the classic stickers you have colorful tiles. They give a great sense of touch and they're also more durable. The movement of the puzzle feels quite smooth, and to me it doesn't need extra lubrication, unless you're planning to used it for competition. It's hard to rate the difficulty of puzzles like these. It all depends on how good you are with Twisty Puzzles. 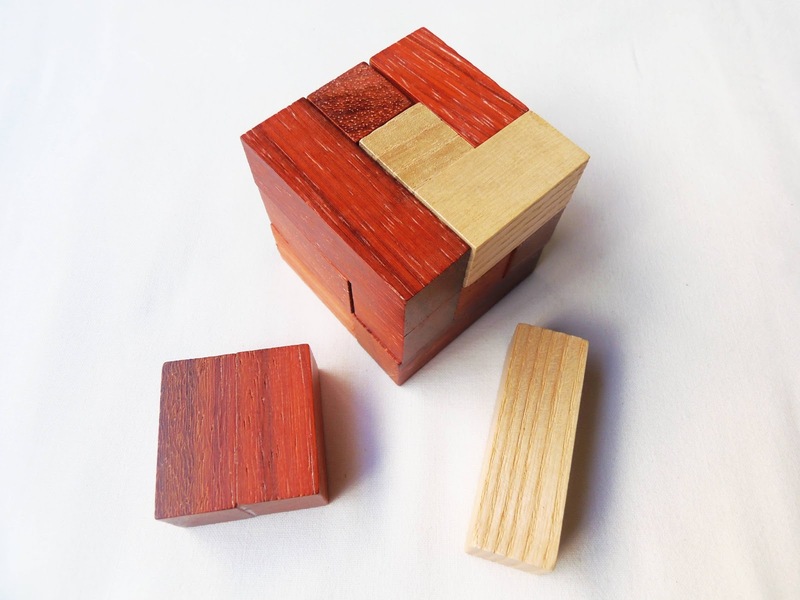 While most of the general 3x3x3 movements can't be used with the Bandage Cube, your experience with this type of puzzles certainly helps. I have to be honest, I'm not very good at them. I do know how to solve a Rubik's Cube and many of its variants, but I struggle to solve the harder ones in the family. That's another reason why I try to stay clear of them with the reviews as much as possible. I've seen many variants of the 3x3x3 Bandage Cube with different types of bandages, sometimes three cubes fused together, or four in a square. There are also Bandage 2x2x2, 4x4x4, and so on. If you're into this type of puzzles, there are a plethora of choices out there. 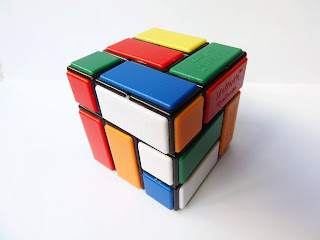 If you liked and solved the Rubik's Cube, but you're eager to try something a little more challenging, then the Bandage Cube is a great choice, as it forces you to think in a different way. 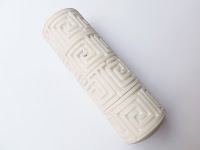 Availability: I got the Bandage Cube from PuzzleMaster in my last order, but they are out of stock at the moment. Keep checking back, and you might get lucky next time you visit the site. In the meantime, you can check their other offers in Bandage Cubes. My quest to review all Cast Puzzles is over... Or so it seemed. Just when I thought I had all of Hanayama's flagship puzzles, comes yet another two great additions to the family, the Cast Box and the Cast Harmony. I hope I can get my hands these two before they release another one, so I can say, yet again, that I have all Cast Puzzles. So, the not so final Cast Puzzle review is for Oskar's Equa, released in September 2008. The Equa had previously been entered at the 2004 24th IPP Design Competition and, curiously enough, the original version, manufactured by Tom Lensch, was made entirely of wood and had a different name, Space Rings. The puzzle represents a planet and its surrounding ring, with the main theme being "heaven". The design of the puzzle is quite intriguing, reminiscent of some model that you'd probably see on an astronomer's desk. You can see two rings, perpendicular to each other, that seem to be trapped inside a symmetrical frame. What you're supposed to do, even though it looks like an impossible task, is to free the rings from the frame. You also need to separate both rings afterwords, as well as returning the whole puzzle to its original form. Rated by Hanayama as a level 5/6, I would expect it to be less of a challenge than any of the 6/6 tier, which is not the case. Harder than this, in my personal experience, are only the Nutcase and the Vortex. I've had the Equa for more two years now. In fact, it was one of the first Cast Puzzles and it took me forever to solve. I only solved it recently, as the last Cast Puzzle review was fast approaching. Although I was able to successfully remove the rings from the frame, I'm still uncertain on some of the steps, because they weren't done in the same session, but over the last couple of years, whenever I got a little patience to pick it up. It's important to note some of the puzzle's tricky workings. Each ring has a small pin that prevents it from moving freely around the frame. Instead, you can only rotate the rings around the axis of the pins. If you're able to separate the rings, still inside the frame, then it's possible to shift one of the pin's position in relation to the other. The openings on the rings can easily fit on the frame's edges, and by constantly fiddling around with this notion, I was able to slowly progress... Really slowly. 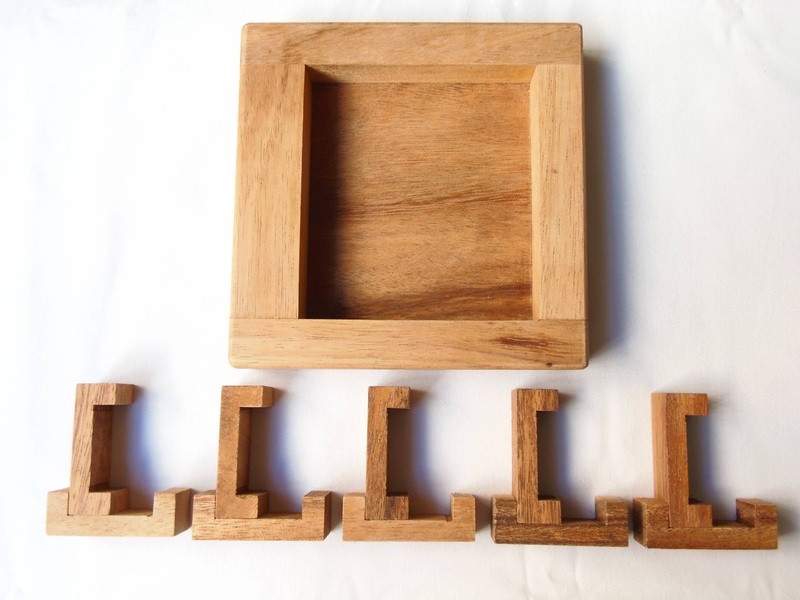 On some occasions, the puzzle almost got stuck on one of the frame's edges. I suspected the tolerances might have been a little tighter on mine, but I eventually got it unstuck. The final couple of steps, when I could finally see the rings almost out of the frame was a real treat. It'd taken me over two years to see this happening, so you can imagine my excitement. After removing the two rings, it still took a couple of minutes to separate them. This was one though nut to crack. The reassembly, like almost always, is a pain and no different from the reverse process. After a few unsuccessful attempts, I knew I wasn't going anywhere and, unless I wanted to spend another couple of years trying to get it back together, I had to follow a video. Having had quite the experience solving the Cast Equa, my overall feelings towards the puzzle remain unchanged, even though it took me a long time to solve it. The puzzle looks fantastic, and the concept, as if we ever expected something different from Oskar, is a masterpiece. Don't take my word for it about the difficulty. You might get luckier than me. Let me know in the comments section how was your experience with it. Availability: If you want to get a copy of the superb Cast Equa or any of the other great Cast Puzzles by Hanayama, visit the website Sloyd.fi. Worldwide shipping available. If you'd like to try your luck at one of the rare original wooden "Space Rings", contact Tom Lensch.